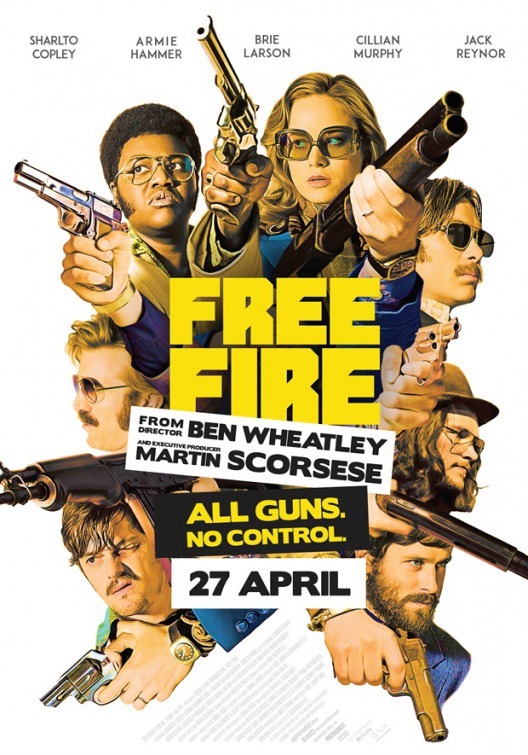 Ben Wheatley’s Freefire is messy. Essentially an hour long shoot-out and what lead up to it the film never generates much in the way of suspense or tension. The plot here is very basic. Somewhere in America in the 1970’s a group of bad guys try to connect with other bad guys in order to buy guns. When its discovered that one guy beat up the sister of one of the other side violence between the two sides erupts. The reason the above description isn’t clear is that the film isn’t clear who everyone is. Conversations are all over the place, names are breezed over and everyone is reduced to wearing bad hair and crappy 70’s clothes (polyester for everyone!). No one is a person, they are either the actor (if we recognize them), Brie Larson (because she is the only woman) or how they are dressed(the guy in the blue suit or the guy with glasses). Actually the clothing isn’t a big help since several people are dressed similarly and in a couple of cases I had no idea who was on who’s side. Frankly I had no idea who anyone really is. Of course none of that matters, the only really important thing here is the shoot-out and its gory violence. We sit through a half hour of macho guys talking shite and staring each other down, only to have it all go to hell when someone who had a fight with one of the other characters earlier shows up and won’t let it go before shooting his enemy… this escalates into a bloodbath. It’s one of the most confused shoot-outs I’ve ever seen and if it weren’t for the odd funny line or gory death I probably would have stopped watching. 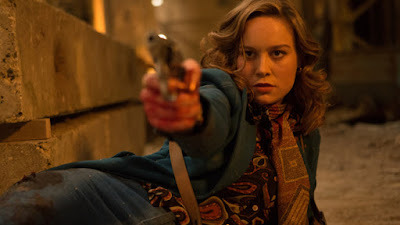 Despite what many people think, unless you have something like the bullet ballets of Hong Kong or other Asian cinemas, it’s very hard to watch an action scene without characters. We need characters to care about. Yes I can watch a sequence of a couple of minutes isolated because they are cool but for the sequences to work on emotional level it needs to have something, plot or characters, to connect to. This isn’t the case here. Here everyone is fodder and Ben Wheatley knows this because he doesn’t even try to develop anyone. The result is not a sequence you can isolate but an hour long collection of nastiness. I was impressed by some of it but I was never connected to it. My attitude when it was done was Okay I’ve seen that now I never have to do so again. Reset: Directed by Chang and Produced by J.C. Saving Sally (2016) New York Asian Film Festival.